Jazz idioms, modernistic sonatas, and elegiac styles. A little bit of column A, B, and C, please. 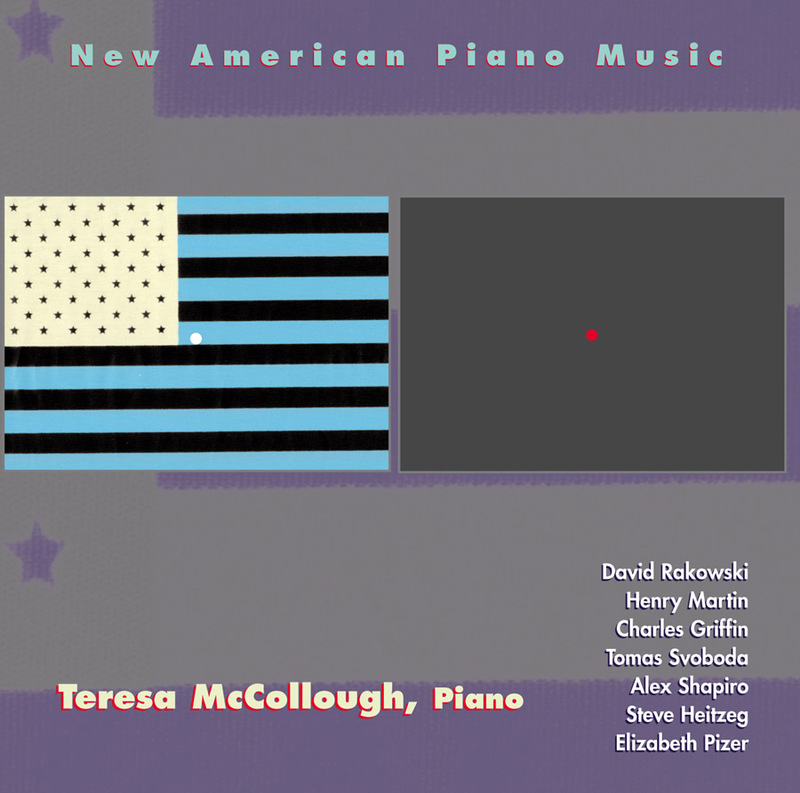 This impressive debut CD by California pianist Teresa McCollough began as a nationwide call for original piano compositions by American composers. Three hundred scores later, she picked the best 7 to include on her recital programs and national tours. The result is a solid and exciting program of contemporary music in a variety of approachable styles and of uniform high quality. Pianists will discover a wealth of new repertoire to include in recitals while listeners will be introduced to some of the best up-and-coming talent in today's concert music. The music hints at jazz idioms, modernistic sonatas, and spacious, elegiac styles, all the while showing tremendous craft and personality.